Meet the 37 Jesuits celebrating milestone anniversaries of the priesthood and in the Society of Jesus in 2012. Read more about the 2012 Jubilee Celebrations for the New England Province of the Society of Jesus. Download this guide to the 2012 Jubilarians as a PDF. Fr. Charles J. Dunn, SJ, a native of East Milton, MA, entered the Society in 1942 and was ordained to the priesthood in 1955. He was an administrator at the College of the Holy Cross, serving as dean of men, dean of students and vice president. He was rector of the Bishop Connolly High School Jesuit Community and also taught religion and math at the high school. Following his tenure as rector, he returned to the College of the Holy Cross serving as director of estate planning, and both associate director and director of planned giving for the past 30 years. 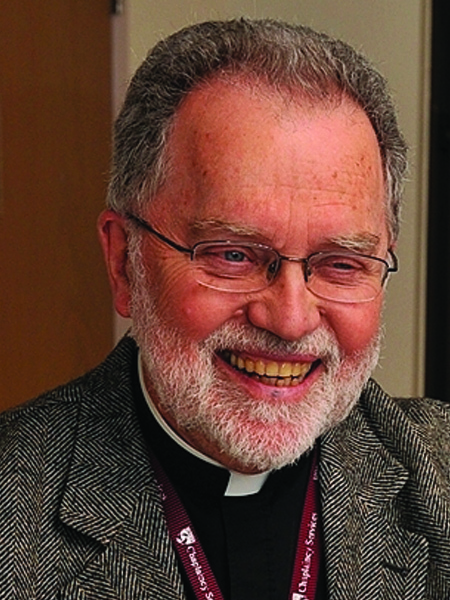 He currently serves as vice president emeritus at the College of the Holy Cross. Fr. J. Donald Monan, SJ, a native of Blasdell, NY, entered the Society in 1942 and was ordained to the priesthood in 1955. He held positions as acting president, vice president, academic dean, chairman of the philosophy department, professor and instructor at Le Moyne College in New York, and instructor of philosophy at St. Peter’s College in New Jersey. In 1972, Fr. Monan was named president of Boston College and served in that role for 24 years. He is currently chancellor of Boston College. Fr. Robert J. Braunreuther, SJ, a native of Brooklyn, NY, entered the Society in 1952 and was ordained to the priesthood in 1965. He earned his bachelor’s degree from Boston College, master’s degree in counseling from Fairfield University, second master’s degree in religion and psychology from the University of Chicago, and a licentiate in philosophy from Berchmanskolleg in Munich, Germany. He returned to Boston College and served as director of campus ministry and subsequently did pastoral and retreat ministry in MD. He currently serves in ministry at Loyola University Chicago. Fr. William J. Hamilton, SJ, a native of Proctor, VT, entered the Society in 1952 and was ordained to the priesthood in 1963. 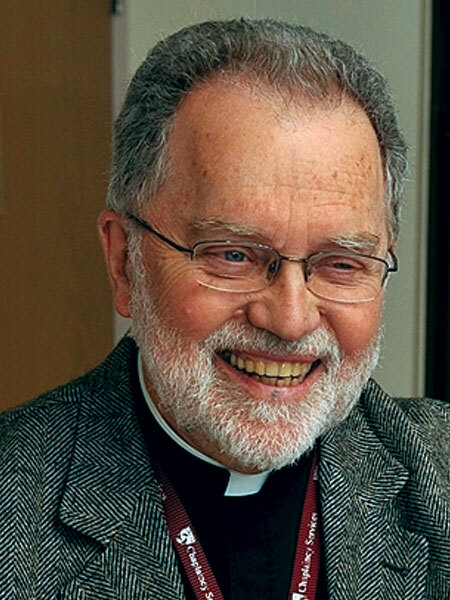 He served in parish ministry for several years before working as a hospital chaplain in Portsmouth, NH. He also served as associate pastor of St. Mary’s Church in Dedham, MA. For the next 11 years he was a hospital chaplain at the Catholic Medical Center and the VA & Eliot Hospitals in Manchester, NH. He is currently providing pastoral ministry at Campion Center. Fr. 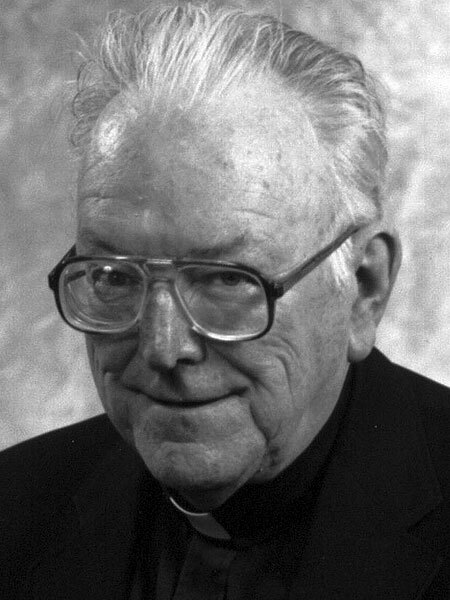 John P. McIntyre, SJ, a native of Boston, MA, entered the Society in 1952 and was ordained to the priesthood in 1963. Following his studies at Boston College and the University of Toronto in Canada he taught English at the College of the Holy Cross, Boston College High School and Fairfield University. After earning a J.C.L. and J.C.D. 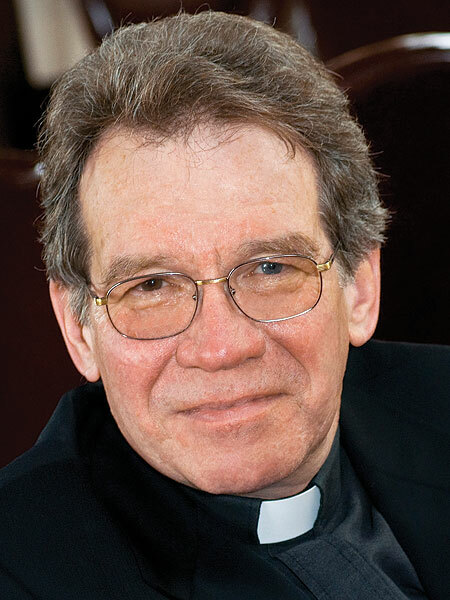 from the Catholic University of America in Washington D.C., he served as Canon Law teacher at St. Paul’s University in Ottawa, Canada, a judge in the Archdiocesan Regional Tribune, and as a writer at Boston College. He is currently praying for the Church and the Society at Campion Center. Fr. William C. Russell, SJ, a native of Winthrop, MA, entered the Society in 1952 and was ordained to the priesthood in 1965. After completing his studies at Boston College and Harvard University, Fr. Russell studied philosophy and theology in France. 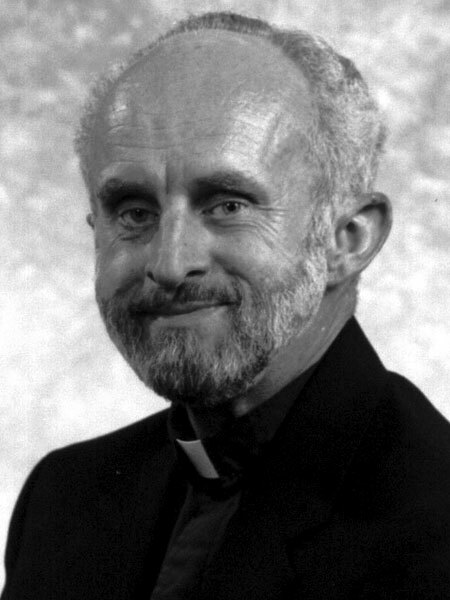 When he returned to the United States he served as rector of the Jesuit Community at the Jesuit School of Theology at Berkeley in California, president of Cheverus High School, director of admissions at Boston College High School, province assistant for development, province vocation director, and superior of the Patrick House Jesuit Community in Kingston, Jamaica. He currently serves as assistant prefect at St. Mary’s Chapel at Boston College. Fr. George P. Winchester, SJ, a native of Dorchester, MA, entered the Society in 1952 and was ordained to the priesthood in 1965. He earned his bachelor’s and master’s degrees from Weston College and studied Clinical Pastoral Education at Boston State Hospital and Massachusetts General Hospital. He worked in Campus Ministry at both Boston College and Loyola University in Chicago and then served at the Jesuit Urban Center in Boston. 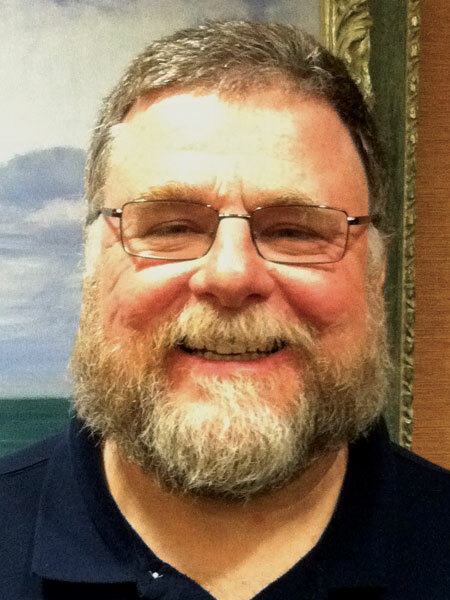 For over 20 years, he has served as a chaplain at Brigham and Women’s Hospital in Boston, MA. Fr. Alfred O. Winshman, SJ, a native of Patchogue, NY, entered the Society in 1952 and was ordained to the priesthood in 1965. After teaching physics and science in Kingston, Jamaica for several years, he studied Clinical Pastoral Education and Pastoral Counseling at Andover-Newton School of Theology. Over the past 30 years, he has worked in pastoral ministry and Marian renewal ministry at retreat houses throughout New England. He currently resides at Campion Center and continues to provide pastoral ministry and retreat direction. Fr. 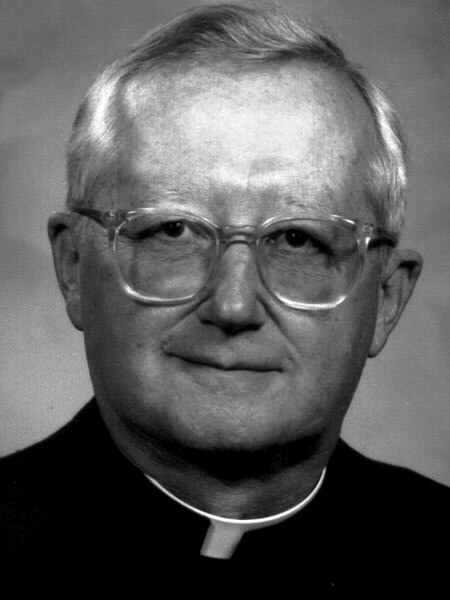 James W. Bernauer, SJ, a native of New York, NY, entered the Society in 1962 and was ordained to the priesthood in 1975. Since 1980 he has taught philosophy at Boston College and held visiting professor positions at Santa Clara University and Loyola University in Chicago. 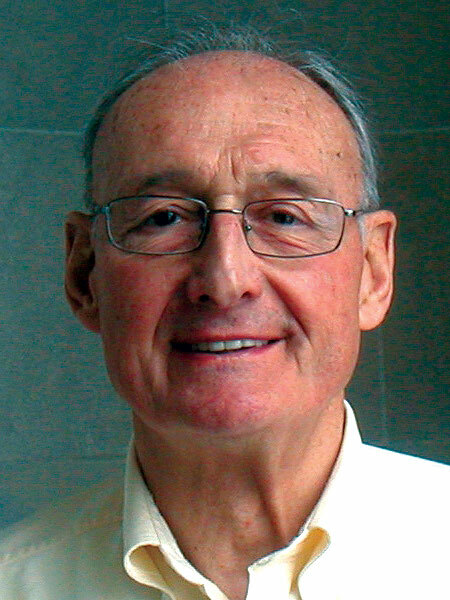 In addition to teaching philosophy at Boston College, he was named director of the Center for Christian-Jewish Learning at Boston College in 2008. Fr. 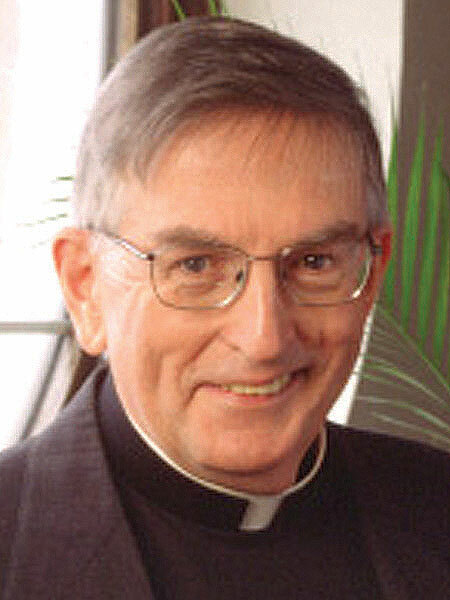 William J. Eagan, SJ, a native of Boston, MA, entered the Society in 1962 and was ordained to the priesthood in 1975. 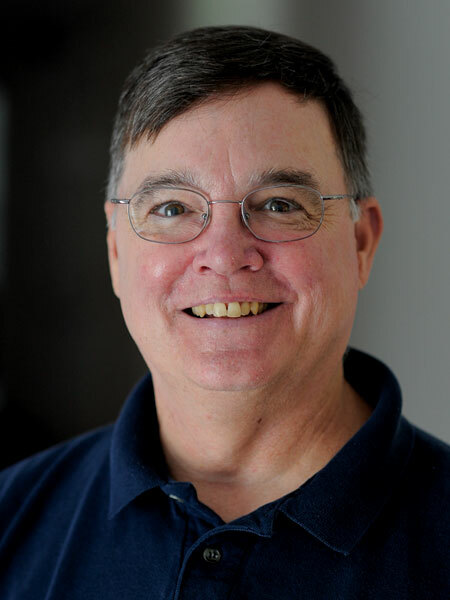 He taught religion at Fairfield Preparatory School for almost 15 years and was instrumental in bringing the Kairos program to both Fairfield Preparatory and Cheverus High School. 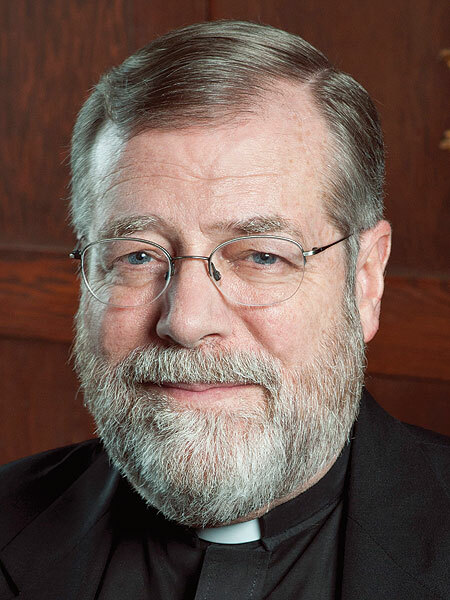 He continued to serve at Fairfield Preparatory as chaplain for several years before being named superior of the Jesuit Community in Portland, ME. He currently teaches religion at Fairfield Preparatory in Fairfield, CT.
Fr. 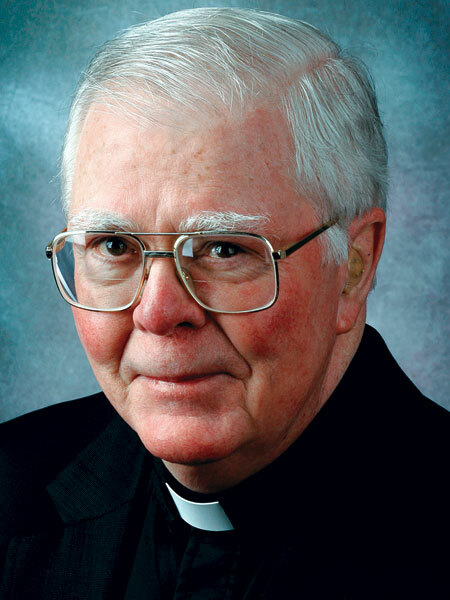 James A. Gillon, SJ, a native of Holyoke, MA, entered the Society in 1962 and was ordained to the priesthood in 1974. He taught philosophy at various colleges and served as dean of St. Michael’s Seminary in Jamaica. He then became dean, teacher, and spiritual director at St. Paul National Major Seminary in Sudan. He returned to the States and served as director of novices in Boston for 10 years. In 2002 he served as socius to the novice master at the Jesuit Novitiate in Arusha, Tanzania. In April, Fr. Gillon returned home to begin ministry of the Spiritual Exercises and spiritual direction at Campion Center. Fr. 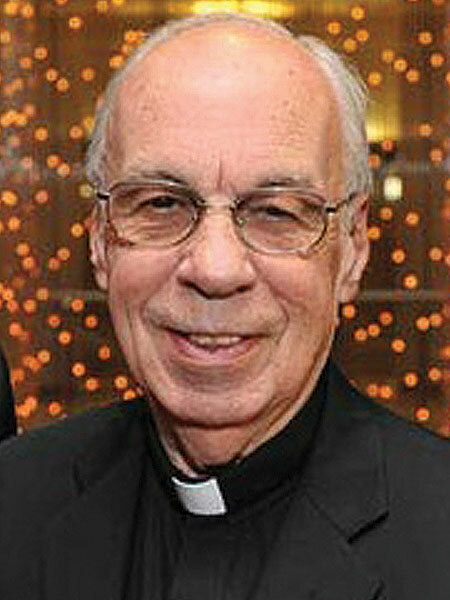 Richard P. Guerrera, SJ, a native of Waterbury, CT, entered the Society in 1962 and was ordained to the priesthood in 1973. After ordination he travelled to Brazil to work among the poor in Salvador and the Reconcovo Bahiano until 1989. He then joined the Jesuit Refugee Service team as it attempted to meet the educational and pastoral needs of the Mozambican refugees in Malawi. He returned to the states for only a year. In 2001, Fr. Guerrera returned to international ministry in the Jesuit Mission in Angonia, the Province of Tete and now remains in Mozambique. Fr. 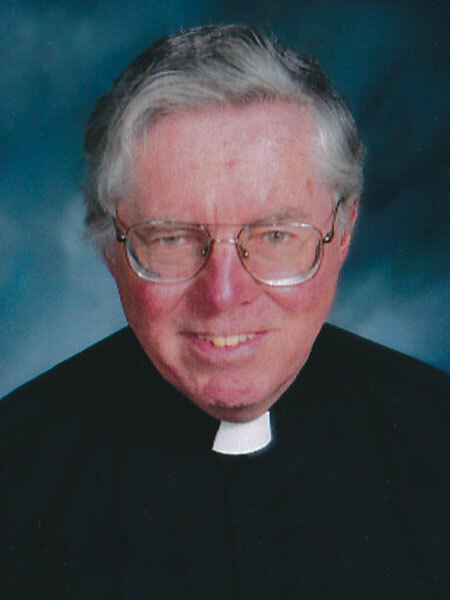 James M. Keegan, SJ, a native of Franklin, NH, entered the Society in 1962 and was ordained to the priesthood in 1971. After teaching in the ‘Capsule Program’ at Fairfield Preparatory School, he then served as assistant director of novices at St. Andrew House and director of Campion Renewal Center. 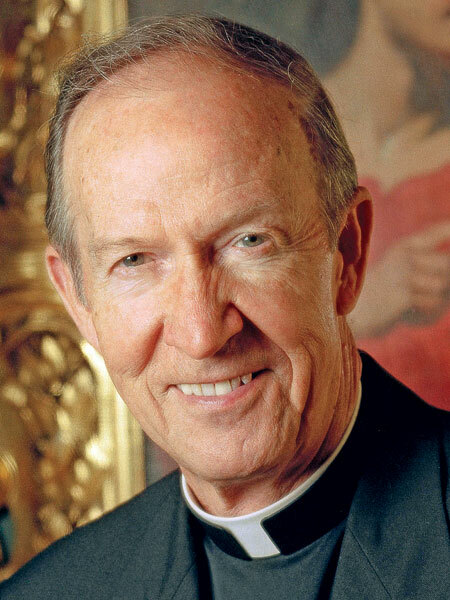 For 11 years he served as associate director of the Louisville Archdiocesan Spirituality Office. In 2002 he returned to New England to serve as superior and director of the Gonzaga Eastern Point Retreat House in Gloucester, MA. Currently Fr. Keegan resides at Campion Center as a spiritual director. Fr. William E. Reiser, SJ, a native of Hartford, CT, entered the Society in 1962 and was ordained to the priesthood in 1972. He has been teaching in the religious studies department at the College of the Holy Cross since 1978. He has also served as rector of the Holy Cross Jesuit Community and moderator of the Catholic Alumni Sodality of Our Lady. For over 20 years he has been ministering to Spanish-speaking communities and traveling during the summers to Bolivia to teach and study theology in the Andean region. Fr. Richard H. Roos, SJ, a native of Hartford, CT, entered the Society in 1962 and was ordained to the priesthood in 1974. 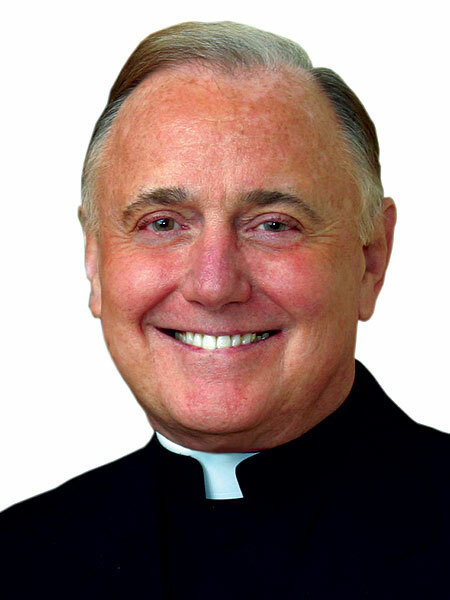 He taught and served as chaplain at Cheverus High School and later served in Jamaica for 10 years as pastor of several churches, rector of the Jesuit Community at St. George’s College in Kingston and socius to the regional superior. He then served as director of communications and information technology for the New England Province and minister at Loyola House. 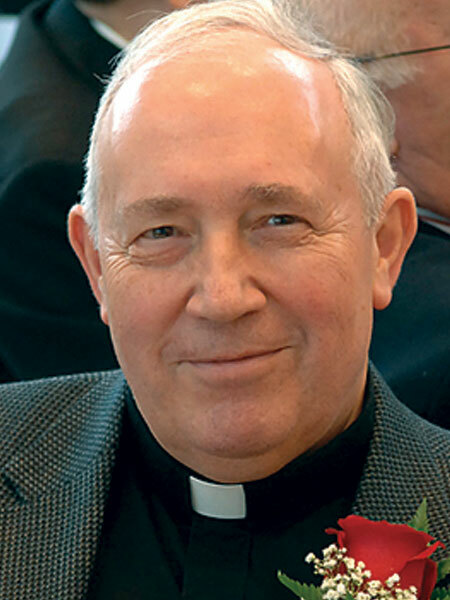 He currently serves as minister of the Blessed Peter Faber Jesuit Community and offers spiritual direction, collaborates on retreats for homeless men and celebrates Mass in prisons. Fr. 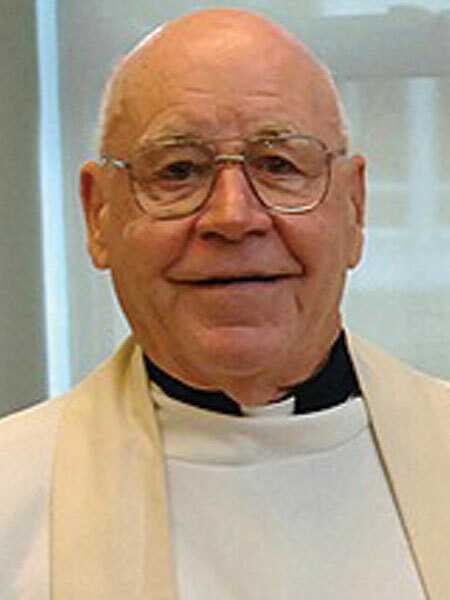 Lawrence C. Smith, SJ, a native of Brockton, MA, entered the Society in 1962 and was ordained to the priesthood in 1982. After serving in various Jesuit assignments, he entered the Navy as a chaplain and was discharged at the mandatory age of 60 in 2003. Fr. 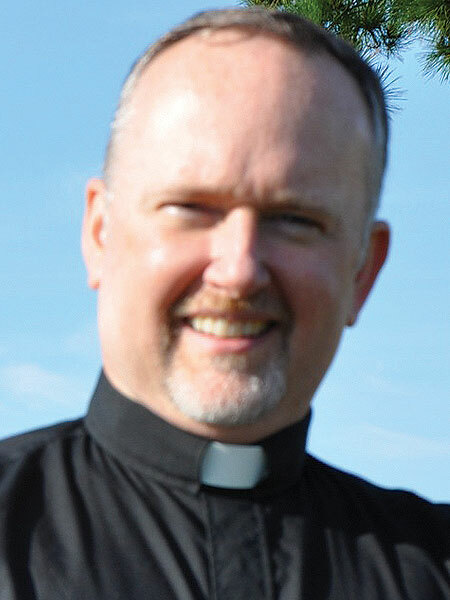 Smith provided Catholic worship and coordinated educational programs at the Hanscom Air Force Base as the only Catholic priest working full-time for the military in northern New England. He also ministered to and counseled active duty military of all branches of the Armed Services regarding Catholic sacramental needs. Fr. Smith is currently serving as the Catholic chaplain at the Bolling Air Force Base in Washington D.C.
Fr. Walter J. Smith, SJ, a native of Boston, MA, entered the Society in 1962 and was ordained to the priesthood in 1972. He spent 20 years as a public-practice clinician, researcher, author, university professor, department chair, and dean before assuming his current position. Fr. Smith is a recognized specialist in gerontologic psychology and end-of-life care and has published numerous scholarly articles and two books. For the past 20 years he has served as the President and CEO of HealthCare Chaplaincy, a nationally recognized New York City-based non-profit leader in the research, education and evidence-based practice of professional, multi-faith, chaplaincy care. Fr. Thomas R.E. Murphy, SJ, a native of Winthrop, MA, entered the Society in 1987 and was ordained to the priesthood in 1999. He studied history at the College of the Holy Cross and earned a master’s degree in history from Brown University. He taught history at Fairfield University and earned his Ph.D. from the University of Connecticut. For the past 12 years he has taught history at Seattle University and currently serves as the chair of the history department. Fr. 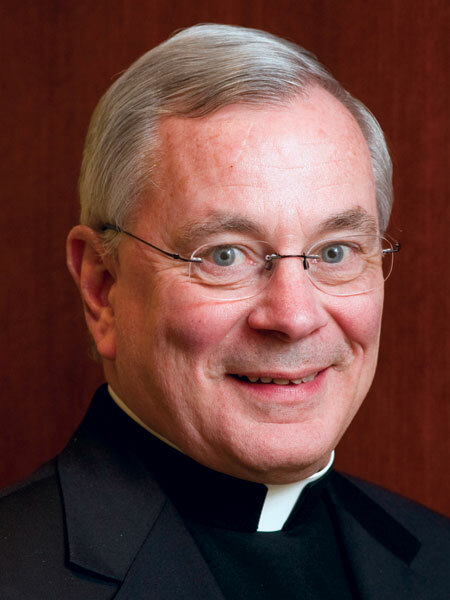 Mark P. Scalese, SJ, a native of Scranton, PA, entered the Society in 1987 and was ordained to the priesthood in 1997. He received his bachelor’s degree in art education from Marywood College and became an art teacher and director of WZAG, a closed circuit TV station that delivers the morning news, at Gonzaga High School in Washington, DC, after graduation. After teaching, he became a TV producer at Frank Frost Productions. Fr. Scalese has since returned to teaching and has spent the last 8 years as a professor of visual and performing arts at Fairfield University. Fr. George T. Williams, SJ, a native of New Haven, CT, entered the Society in 1987 and was ordained to the priesthood in 2004. For many years, Fr. Williams served as chaplain at the Suffolk County House of Correction while earning his master’s degree in social work with an emphasis on prison ministry from Boston College. Following his ordination in the priesthood, he worked for 5 years as a chaplain in the Massachusetts State Prison at MCI-Concord and founded Jesuit Prison Ministries, a non-profit ministry service. Fr. Williams is currently the chaplain at the San Quentin State Prison in San Quentin, CA. Fr. John F. Devane, SJ, a native of West Newton, MA, entered the Society in 1939 and was ordained to the priesthood in 1952. 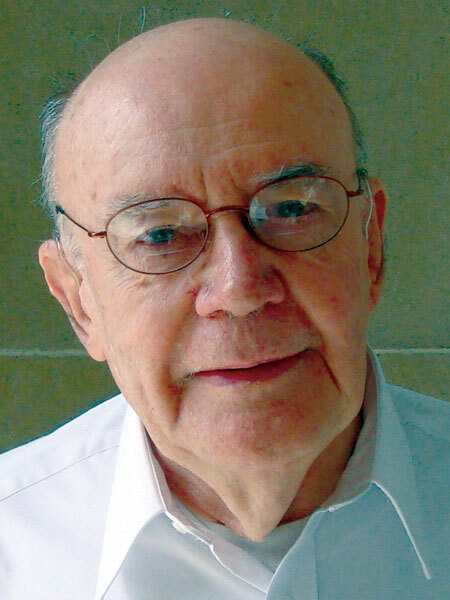 He taught physics and mathematics at the College of the Holy Cross, Fairfield University and Weston College. He was named director of seismology and chair of the geophysics department at Boston College before returning to studies in geophysics at Pennsylvania State University. Following his studies, he returned to the Boston area and spent the next 30 years serving as a professor of geophysics and physics at Boston College. He is currently praying for the Church and the Society at Campion Center. Fr. George L. Drury, SJ, a native of Somerville, MA, entered the Society in 1939 and was ordained to the priesthood in 1952. After studies, he taught at Boston College and served as the university’s first vice president of both student personnel and public relations. 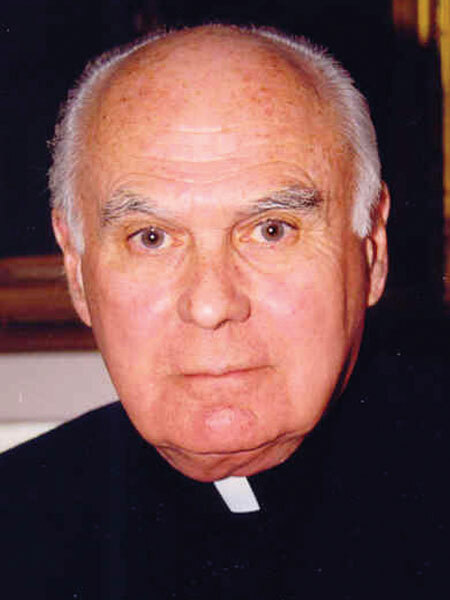 Later he taught theology for several years at Pope John XVIII Seminary before being named superior of Campion Center. He then attended Loyola Retreat House in Guelph, Canada to study retreats and has since engaged in retreat ministry and spiritual direction in various New England apostolates. He is currently working in ministry of the Spiritual Exercises at Campion Center. Fr. William A. Barry, SJ, a native of Worcester, MA, entered the Society in 1950 and was ordained to the priesthood in 1962. After earning a Ph.D. in clinical psychology, he taught at the University of Michigan, Weston Jesuit School of Theology, and Boston College. Fr. Barry served the New England Province in a variety of leadership roles including provincial. For several years he served as co-director of the Jesuit Tertianship Program at Campion Center. Fr. Barry is the author and co-author 15 books. He currently resides at Campion Center where he continues to write and direct retreats. Fr. 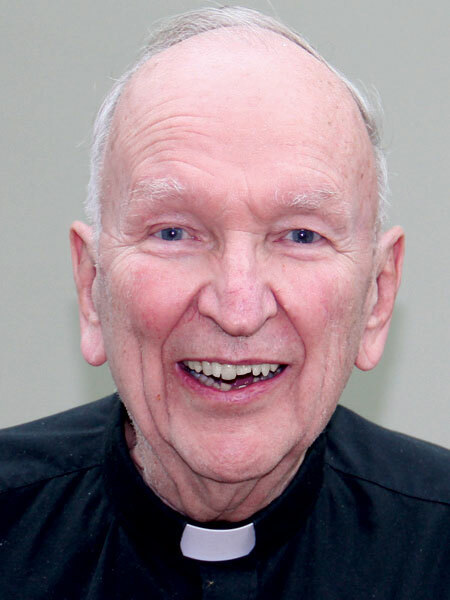 John J. Begley, SJ, a native of New Haven, CT, entered the Society in 1949 and was ordained to the priesthood in 1962. He earned an S.T.L., and a Ph.L. from Weston College and an S.T.D. from the Pontifical Gregorian University. 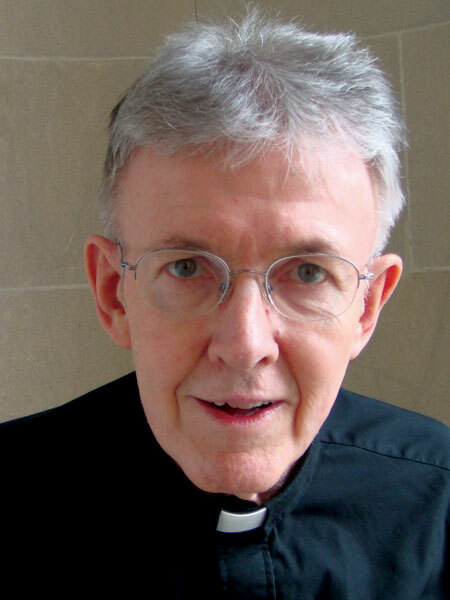 He then served as dean of the Jesuit School of Theology in Chicago. He also taught theology at Boston College, Weston College, and the University of Scranton. 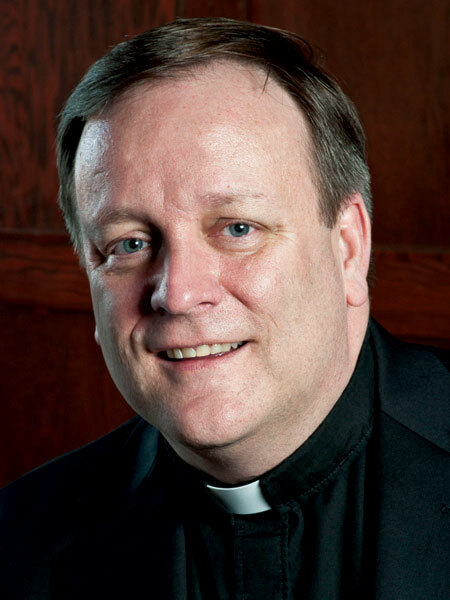 Over 25 years, he has taught theology at the University of Scranton and served as rector of the Jesuit Community. Currently, he is professor emeritus of theology at the University of Scranton. Fr. 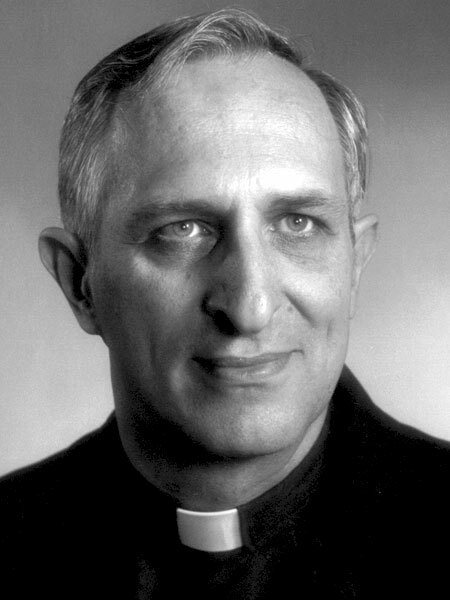 George A. Gallarelli, SJ, a native of Boston, MA, entered the Society in 1950 and was ordained to the priesthood in 1962. 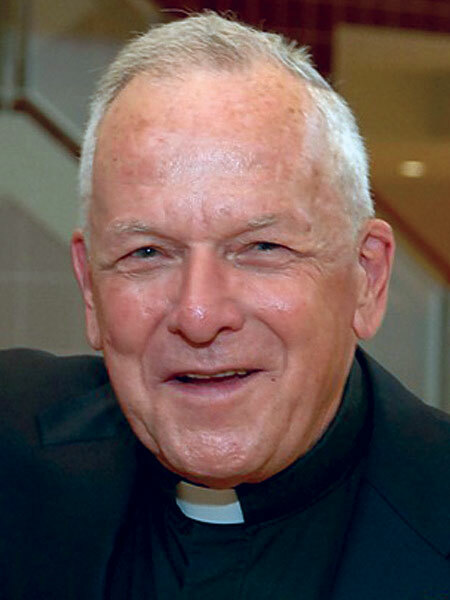 He taught business communications and theology, served as the director of resident students and also as the director of admissions at Fairfield University before working as an education counselor at St. Joseph High School in Trumbull, CT. He is currently the assistant director of educational counseling at Fairfield Preparatory and chaplain of athletics at Fairfield University. Fr. 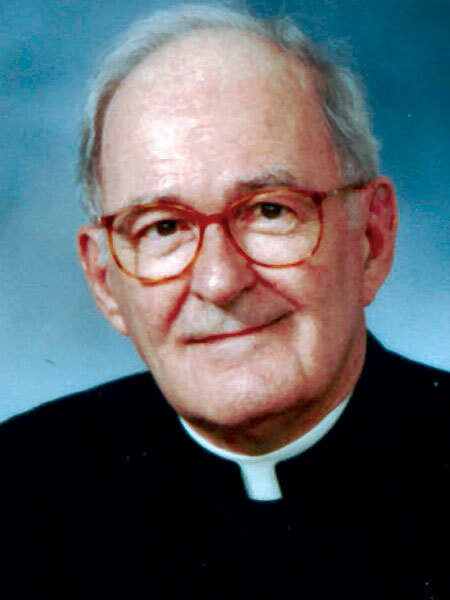 Paul P. Gilmartin, SJ, a native of Worcester, MA, entered the Society in 1949 and was ordained to the priesthood in 1962. After ordination, he taught theology at Boston College and served as associate pastor of St. Margaret’s Parish in Lowell, MA. Over the next 25 years he taught theology at Pope John XXIII Seminary in Weston, MA. He is currently praying for the Church and the Society at Campion Center. Fr. Daniel J. Lusch, SJ, a native of Stamford, CT, entered the Society in 1951 and was ordained to the priesthood in 1962. He earned his bachelor’s degree in philosophy from Boston College and stayed in the Boston area to serve as a pastoral counselor at the Center for Religious Development in Cambridge, MA and later campus minister at Boston College. For the past 20 years, Fr. 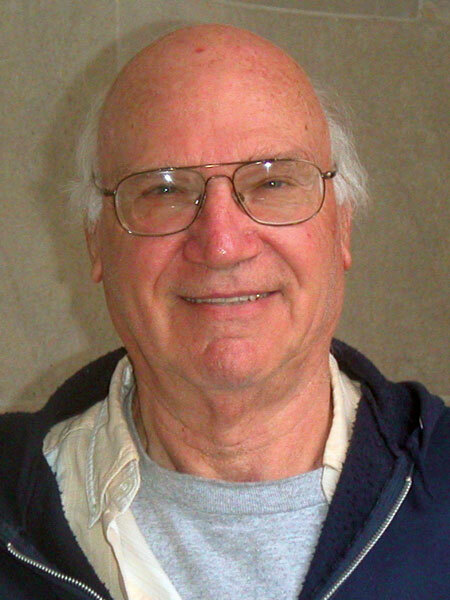 Lusch has served as a Natural Health Care Consultant in Depew, NY. Fr. 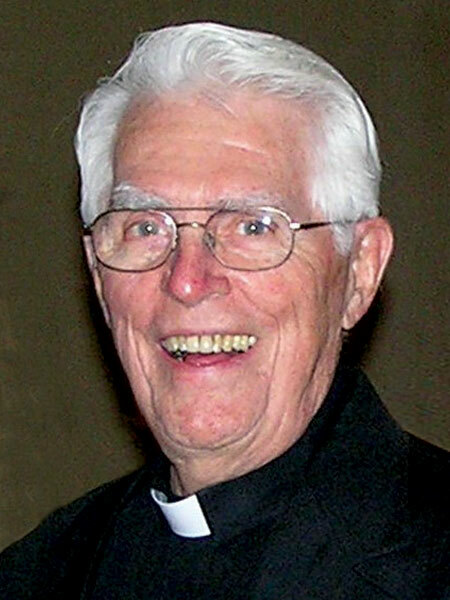 Richard B. McCafferty, SJ, a native of St. John, New Brunswick, Canada, entered the Society in 1953 and was ordained to the priesthood in 1962. After ordination he earned his master’s degree and Ph.D. in communications from Northwestern University. He dedicated 21 years as a professor of communications at a handful of universities in Arizona and California. He most recently taught philosophy and theology at Las Positas College before becoming pastor at St. Charles Borromeo, Livermore, CA. 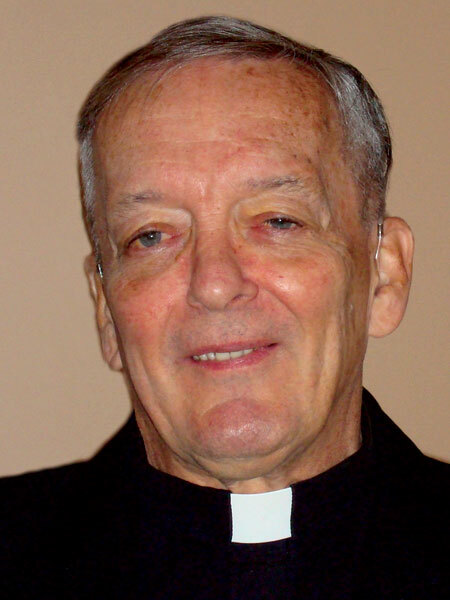 He is currently pastor emeritus at St. Charles Borromeo Church. Fr. Frederick G. McLeod, SJ, a native of Dorchester, MA, entered the Society in 1949 and was ordained to the priesthood in 1962. He earned both his bachelor’s and master’s degrees in philosophy from Boston College. He served as superior and then rector of the Collegian Program in Boston, MA. He then left Massachusetts and spent the next 33 years as professor of theological studies at Saint Louis University in St. Louis, MO. Currently he continues to work at Saint Louis University as a writer of theology at the Jesuit Hall Community. Fr. Robert G. McMillan, SJ, a native of New Bedford, MA, entered the Society in 1949 and was ordained to the priesthood in 1962. He earned a master’s degree in sociology from Fordham University and a Ph.D. in sociology from Case-Western Reserve University. He went on to teach sociology at the College of the Holy Cross and later was director of the Youth Hostel ‘Common Life’ organization, and the rector and director of the Jesuit Urban Center in Boston, MA. He dedicated 14 years to the Archdiocese of Boston, serving as the director of the Archdiocesan Office of Planning and Research. He currently serves as house treasurer at the Loyola House Jesuit Community in Boston, MA. Fr. Philip C. Rule, SJ, a native of Cleveland, OH, entered the Society in 1949 and was ordained to the priesthood in 1962. Fr. 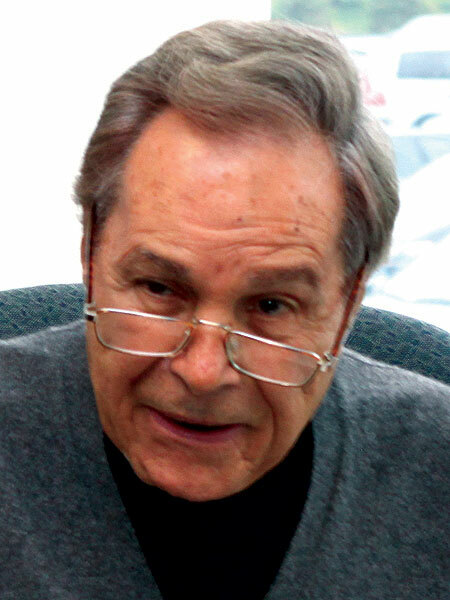 Rule began his career in higher education at the University of Detroit as an English professor. After 12 years, he moved to Massachusetts where he spent the next 25 years as an English professor, writer and editor of Faculty Forum at the College of the Holy Cross. Fr. Rule has returned to the Chicago-Detroit Province, his home province. Fr. Terrence P. Devino, SJ, a native of Greenfield, MA, was ordained a diocesan priest in 1987 and entered the Society in 1994. He served in various schools in the New England area including Boston College High School, Boston College and Fairfield University. He continued on to become assistant vice president and then vice president for university ministry at the University of Scranton. Later, he returned to Massachusetts to serve as special assistant to the president and director of Manresa House at Boston College. He was recently named vice president and university secretary at Boston College. Fr. James F. Lafontaine, SJ, a native of Heidelberg, Germany, entered the Society in 1977 and was ordained to the priesthood in 1987. He taught music for several years at Boston College High School and served as assistant director of the Boston Archdiocesan Choir School. 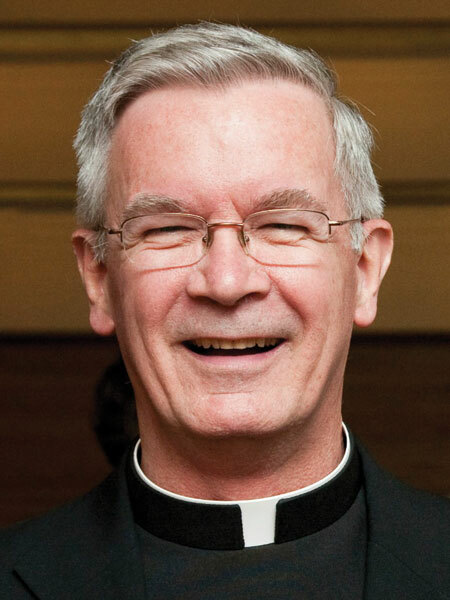 He became provincial assistant for formation and secondary education for the New England Province and later served as executive director of Nativity Preparatory School in Boston, MA. He is currently superior of the Jesuit Community in Portland, ME and pastor of Our Lady of Hope Parish. Fr. 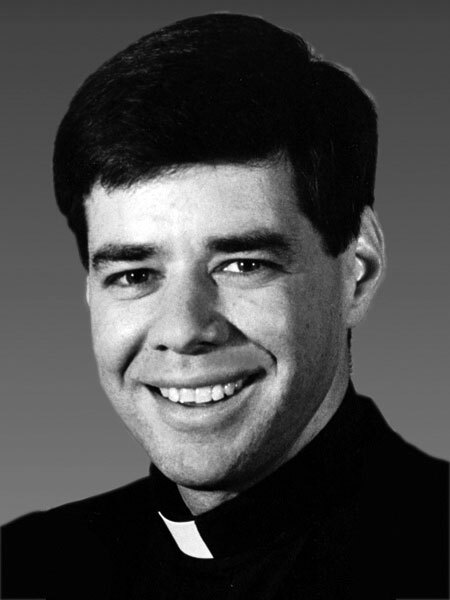 Paul W. McNellis, SJ, a native of Bloomington, MN, entered the Society in 1977 and was ordained to the priesthood in 1987. He began his career at St. Peter’s Preparatory School in Jersey City, NJ, as a religion teacher and director of the Community Action Program. He earned a Ph.D. in political philosophy from Boston College and taught social ethics and political philosophy at the Pontifical Gregorian University in Rome, Italy. He returned to Boston College as a visiting professor and has since joined the faculty as an adjunct professor of philosophy at the university. Fr. 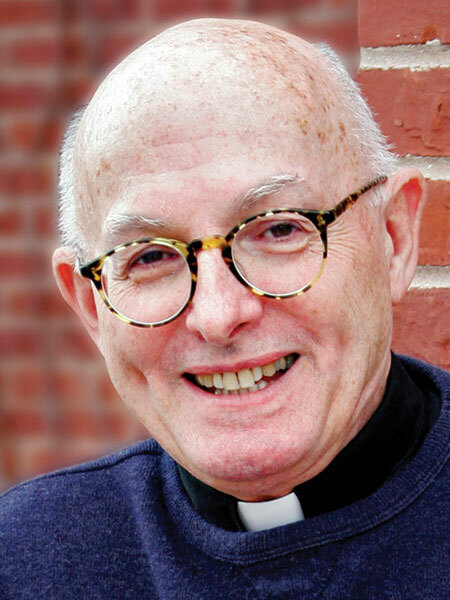 Ronald A. Mercier, SJ, a native of Holyoke, MA, entered the Society in 1975 and was ordained to the priesthood in 1987. For over 15 years, he taught theology, ethics and was dean of the Toronto School of Theology at Regis College in Toronto, Ontario. He returned to Massachusetts and was named executive director of The Jesuit Collaborative and superior of Loyola House in Boston, MA. He is currently the rector of Bellarmine House of Studies in St. Louis, MO and is an associate professor of theology at Saint Louis University. Fr. 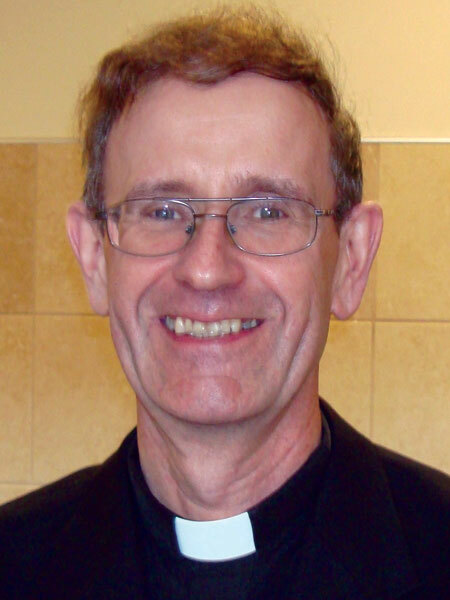 John P. Murray, SJ, a native of Manchester, CT, entered the Society in 1977 and was ordained to the priesthood in 1987. He spent several years in administration at Boston College High School and at Bishop Connolly High School in Fall River, MA. He then served as the provincial assistant for secondary education and as socius to the provincial. At the Center for Religious Development, Fr. Murray coordinated retreats and provided spiritual direction. He then served as superior and director of Eastern Point Retreat House in Gloucester, MA. He is currently a campus minister at the University of Loyola Baltimore. Fr. 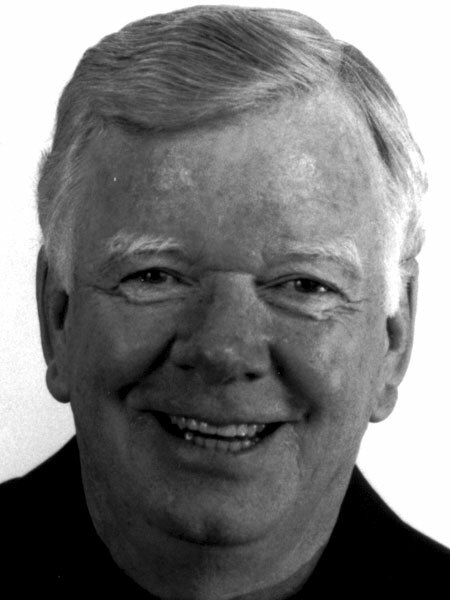 Thomas J. Regan, SJ, a native of Waltham, MA, entered the Society in 1976 and was ordained to the priesthood in 1987. He began his career as a tenured associate professor of philosophy at Fairfield University in Fairfield, CT, where he chaired the department of philosophy and was co-director of the Ignatian Residential College. 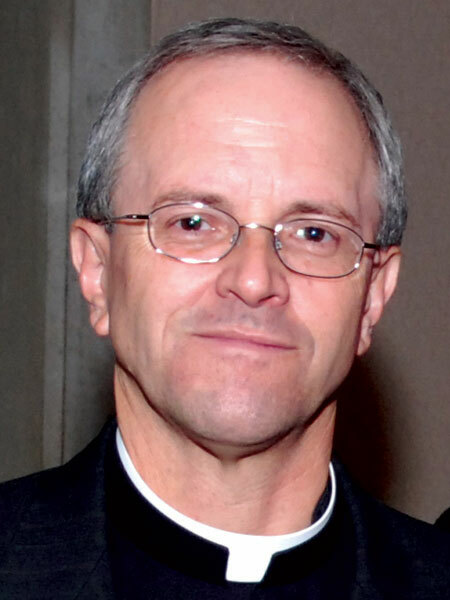 He is a former president of the Jesuit Philosophical Association and was elected to the executive council of the American Catholic Philosophical Association. He served as the provincial of the New England Province of Jesuits. He is currently the academic director of the First Studies Program, dean at St. Joseph Seminary and a philosophy professor at Loyola University in Chicago, IL. Download these 2012 Jubilarian bios as a PDF.